Dentist Pasadena, Deer Park | Energy Drinks Healthy Or Not? Researchers have immersed teeth in 13 popular beverages. 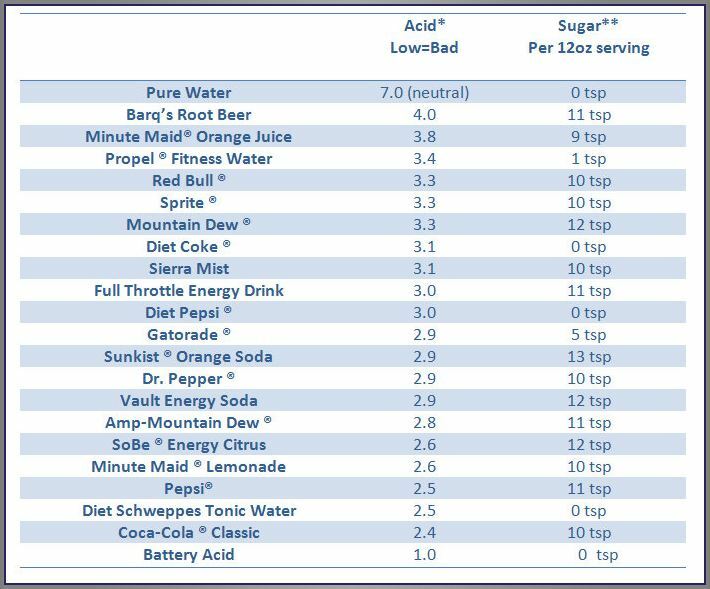 They found that non-cola soft drinks, energy/sports drinks, and commercial lemonade “showed the most aggressive dissolution effect on dental enamel.” These drinks were up to 11 times more corrosive than cola. High levels of some additives, such as citric acid, caused the disintegration of the teeth. Dr. Nugent recommends that people do not sit and sip theses drinks of a long time. Furthermore, you should follow-up the energy drink with some water to help rinse away the damaging acids.